Trish Alexander began skating in 1972 on ice. She competed in both singles and pairs for 2 plus years. She took up inline skating in 1994 at the age of 34 and fell in love. She became a certified skate instructor in 1996 and in 2002 an examiner for the ICP/IISA. 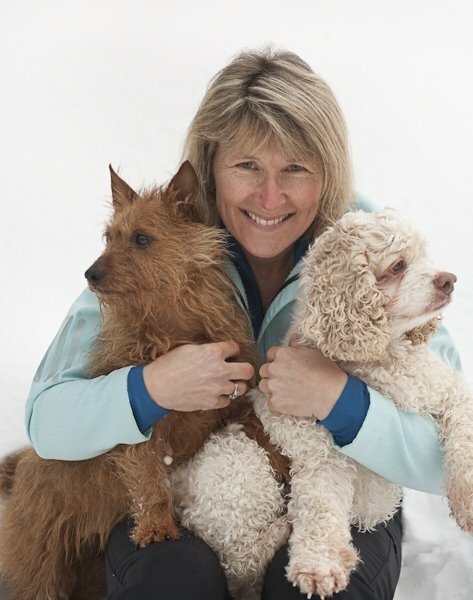 She co-wrote the FIT (Fitness Inline Training) manual and taught marathon training for 7 years. She was director of the MS Skate Marathon for four years of it’s 11 year run. Trish teaches is available for private lessons in the Seattle area and online. Trish started Skate Journeys Skate School in 1999 which became the largest of it’s kind in the US and world-wide. They offer six levels of instructors from Beginner to Advanced for both kids and adults, and also offer weekly classes ofslalom & pairs. There are 46 active volunteer instructors and three staff. Skate Journeys is now a 501c3 organization with a goal of providing low and no cost lessons and equipment to the local community of kids and adults who would otherwise not have this opportunity. She continues to be the director of Skate Journeys with a huge nod of thanks to the tireless Board of Directors. On July 1st, 2009, Trish was given the company United Skate Schools Group. 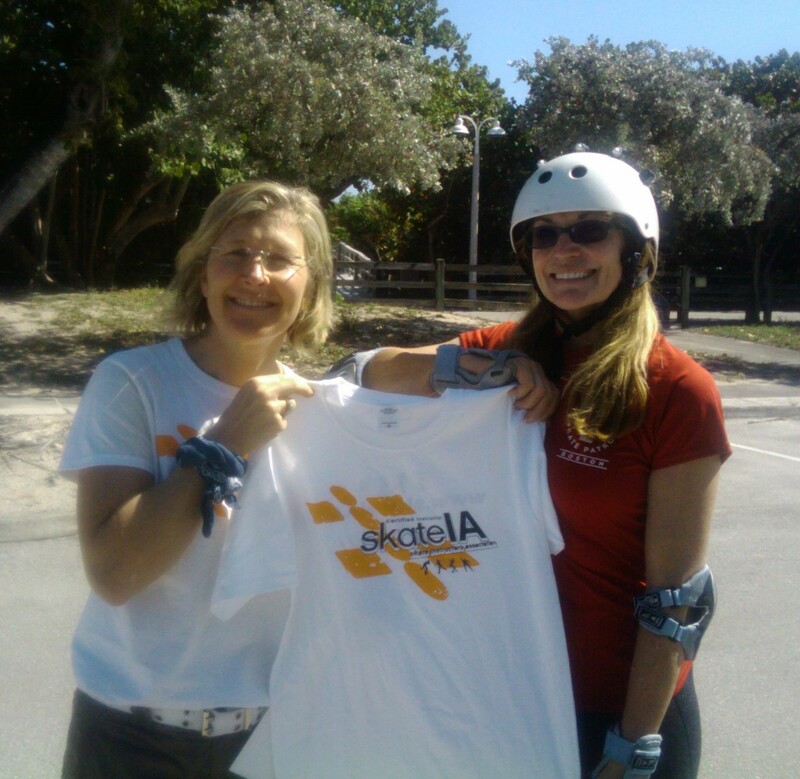 Shortly thereafter she changed the name to Skate Instructors Association (Skate IA, www.skateia.org) The company is charged with certifying inline and quad skaters to become instructors. The company also offers additional levels of education such as Level 2 and Endorsements. Skate IA also runs the Skateboard Certification Program, the first of it’s kind in the country. Trish just loves to skate, you can just see it. She teaches others, she trains teachers, but when she laces up her skates for herself she can’t do it fast enough. Often the skates are not tight enough, but never mind…. it’s about the skating. Trish had a very well paying job as a paralegal and a private detective and the more she skated and the more she taught the more she realized she would leave ‘safe’ behind and welcome adventure instead. That was a decade ago. Fear is an interesting tool. Just after her stint in the hospital in March 2013 where she died for 15 minutes and then came back. Trish teaches skating at Skate Journeys in Bellevue, Washington to students who skate from Level 1 to six. Here students are as young as 4 and as old to well, 72 is the oldest so far. She teaches private lessons and is the director at Skate Journeys (and founder). She also runs Skate Instructors Association which is the company that certifies skaters to teach. Ask if your instructor is Skate IA certified! www.skateia.org & www.skatejourneys.com to see what she’s up to. Trish— thank you so much for your Guide to Rockering your skates and for showing some skates that actually have a rockered frame: the Seba Igor Pro’s— I’m going to get some of those. I have been trying to find a skate with a rockered frame for years now ever since I lost my old Rollerblade Lightnings in a corporate relocation move that had rockering frames– or at least the spacers that allowed for a rockering adjustment. I have spoken to numerous skate shop owners who are clueless when it comes to rockering. They look at me as if I’m crazy when I describe to them what I’m looking for. They all say they’ve never heard of it. Your comment saying rockering heightens the experience of skating is so true. I couldn’t agree more. In fact I think I actually skate faster on rockered skates– I think they allow for a more natural and effective push off so to speak. Anyway, I’m an old hockey player from New England now living in FL and I haven’t been on ice skates for years— but the closest and most fun resemblance of the ice hockey skate is the rocketed Rollerblade or inline roller skate. I forwarded your article to my girlfriend as proof! Thanks again!